The event was held at Manora beach; a well-known leisure place for general public and was attended enthusiastically by a large number of families, particularly the urban youth. It also afforded ample opportunities to create awareness about the recreational possibilities offered by beach; besides heaping economic dividends for the island dwellers. 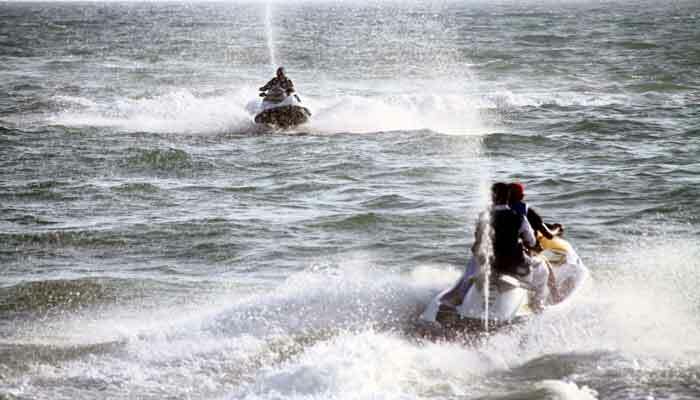 The colourful gala which spanned over three days, effectively drew in hordes of visitors in water borne activities like Miniature Cruises to Oyster Islands, Jet Ski Rides to mouth of Karachi harbour as well as Beach Kite Flying and Beach Volleyball along with host of other crowd pleasers. Various similar activities were also available for children including Horse and Camel Rides and other fun beach attractions. Savory food stalls by locals offering variety of refreshments, marinated the event with flavour whereas in the backdrop, Manora Lighthouse stood a witness to the whole exuberance. The chief guest appreciated the efforts of all concerned, especially the PNS RAHBAR, Cantonment Board Manora, as well as sister agencies for successfully preparing the Island well in time. He also thanked educational institutions and families for coming in great numbers and making the event a success. Earlier, in his closing remarks, the Commandant PNS RAHBAR urged the general populace to keep visiting the island in order to inculcate maritime awareness among our future generations about the endless economic and recreational possibilities offered by sea.